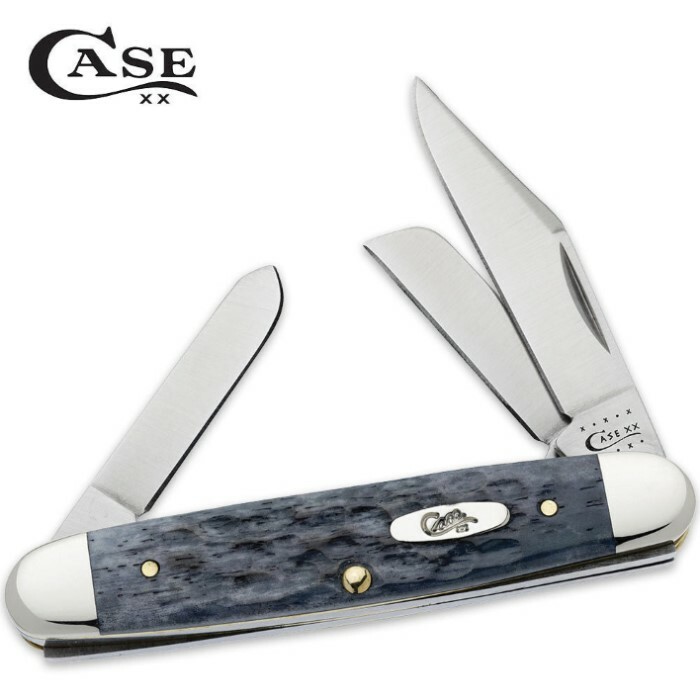 Case SS Gray Bone Medium Stockman | BUDK.com - Knives & Swords At The Lowest Prices! They say you can judge a man's character by the way his hair grays. If this is true, you'll see the authentic Case nature in this collection. Fitted with Tru-Sharp surgical steel clip, sheepfoot and spey blades, this is a stunning look for a new Case standard. Handcrafted in the USA. 3 3/8 inch cl.